Film Actually: Has Sundance lost its Oscar mojo? Has Sundance lost its Oscar mojo? 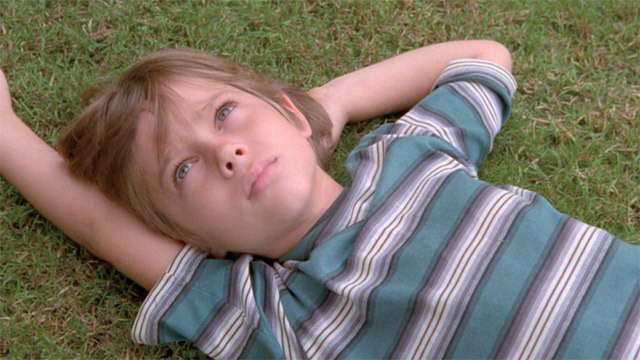 Should we expect Oscar traction for Sundance hit 'Boyhood'? As we all know, January is a wasteland for quality movies, only salvaged for the lucky few who are able to attend the Sundance Film Festival. As an Oscar blogger, I can't help but approach the buzz out of that festival's premieres in the context of Oscar potential. As you can tell from the title of the article however, this is starting to become an increasingly futile wish. Let's go back to 2009 for a minute. The Oscar nominations for 2008 were announced bright and early on January 22nd and the blogosphere and general public were left disappointed. In what turned out to be a game-changer in how the Best Picture field is set, 'The Dark Knight' was passed over in the final 5 nominees for the top award. It seemed to have all the makings for a Best Picture contender (near-universal critical acclaim, record-breaking box office) but it still couldn't make the cut ahead of the World War II appeal of Stephen Daldry's less-respected 'The Reader'. Subsequently, the Academy embarked on an initiative to expand the Best Picture field to 10, hoping to address the narrow definition of the "Oscar movie". The experiment worked. Whether you agree with the choices or not, there's no denying that the types of films nominated for 2009 represented a much more diverse range of filmmaking styles. Alongside the usual "prestige" titles were blockbuster fare like 'Avatar' and 'District 9', indie favourites 'The Hurt Locker' and 'Precious', an animated film and of course the now infamous inclusion of 'The Blind Side'. Mostly satisfied with the results, the Academy continued with this system for the 2010 film year with similar effect. It was short-lived however, with the Academy once again changing their mind and implementing a rather unusual new method of nominating Best Picture. Rather than nominating a fixed number of 10 films, the new rules as of 2011 allows for anywhere between 5-10 nominees, based on a complicated 5% rule. Rather than listing 10 nominees on their ballot (which was the case with the 10-film lineup), the voters now select 5 ranked films and only those with 5% of the overall 1st place votes would become nominated (it's a bit more complicated than that but you get the gist). Unfortunately, this instantly reverted things back to the status quo. Though the initial tampering with the process was intended to make Best Picture more inclusive, the 2011 lineup once again became the domain of the prestigious "Oscar movies". The big studios and their independent subsidiaries came back in a big way, leaving the smaller fish (Roadside Attractions, Lionsgate) on the outside looking in. To the chagrin of many, the Best Picture lineup was once again populated by unadventurous "Oscar bait" like 'Extremely Loud and Incredibly Close' and 'War Horse'. This brings me to the main crux of this article. Is there no longer any room for the little Sundance movie? After consecutive nominations of Grand Jury prize winners 'Precious' and 'Winter's Bone' (surely aided by the expansion to 10 films and the ability for voters to list 10 favourites), many persons in the awards business came up with the notion of expecting a "Sundance slot" in the field. Unfortunately, the current trend seems to indicate that this may not bear fruit. Fast forward to 2013 and the case study of 'Fruitvale Station'. The debut film of young director Ryan Coogler, it was an instant sensation at Sundance, picking up the impressive combo of the Grand Jury and Audience prizes. 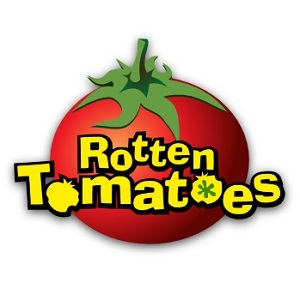 It was soon acquired by The Weinstein Company (you can consider them a major studio for the purposes of this discussion) for distribution and was unleashed with the perfect storm of critical acclaim (94% on Rotten Tomatoes), a zeitgeisty premise (relevance to the contentious Trayvon Martin case) and an emotionally resonant story, all while fitting in nicely with the theme of 2013 as "a standout year for black film". Surely, Oscar nominations would follow right? Well, that's what many pundits thought. Just ask my buddy Andrew, who held the faith almost to the very end. Unfortunately, when the nominations for 2013 were announced, 'Fruitvale Station' was absent from the final list of Best Picture nominees. In addition, the beloved 'Before Midnight' (another Sundance premiere) was also cast aside, except for a measly screenplay nod. So the question remains, is the current nomination process a good thing for Best Picture? I'm starting to have my doubts, particularly when it concerns recognizing the smaller "Sundance" brand of filmmaking. By their very nature (small budget, unknown actors), most Sundance films are unlikely to have massive appeal with Academy voters. Many of these people came to fame before the modern concept of indie cinema even existed. It therefore seems quite clear that requiring these 1st place votes for a nomination will place the "Sundance movie" at a severe disadvantage. Of course, 'Beasts of the Southern Wild' still made it under the current rules, but that's an understandable anomaly. Its fantastical ambition (in addition to having a powerful distributor in Fox Searchlight) was more in line with a studio film than the usual Sundance darling. I therefore believe it would be in the Academy's best interest to return to a 10-film Best Picture lineup. If they are so concerned with attracting the hip crowd, then this can help. 2009 and 2010 brought some of the most atypical but vital nominees (The Tree of Life, Up, District 9) to the conversation. If it ain't broke, don't fix it. Right now the Sundance Film Festival is already abuzz with the premiere of Richard Linklater's latest film 'Boyhood'. If it's as good as they say, then I hope it will be legitimately in the running for Best Picture of 2014. Alas, we may be setting ourselves up for another disappointment. What's your opinion of the nomination process? Let me know in the comments. I don't know if you've seen this article by Mark Harris (http://grantland.com/hollywood-prospectus/the-nolan-effect-why-the-larger-best-picture-pool-is-actually-shrinking-the-number-of-oscar-contenders/), but in it he makes the point that the Best Picture nomination process as it is right now is limiting the full number of contenders, especially in the "above-the-line" categories like Acting and Writing. I definitely agree with you that the current process is flawed, and it's excluding great smaller films in favor of which studios can provide the most funds for campaigning. I'm with you on going back to 10 nominees: it allows for a more diverse set of films, and I think it's more proportional to the number of films that are eligible every year. Besides, we keep getting nine nominees. Just go ahead and commit, Academy! Yes, I did read that! I was kinda pissed that he stole my thunder while I was formulating this post haha. Still, I'm coming at it from a different angle than him. He wants to go back to 5, but I think 10 is the better way. I agree with Sasha from Awards Daily when she says that the top categories will always be filled with a select few films regardless of the number of Best Pic nominees. The most important thing is to have Best Picture be more and representative of the film year, and the current system isn't allowing that. Thanks for the comment! I think it's an interesting debate. I think the issue isn't necessarily with the process and more of the people who vote. I loved the idea of a set 10 nominees for Best Picture cause it allowed for films like District 9 and generally gave a better feel for the film year. However, they still had the Oscar bait at the top that they gave the prizes to. Regarding Sundance though, I think in order for things to be considered from here they need overwhelmingly passionate fan bases. BOTSW and Precious had some powerful fans and with their auteurist bent its not hard to see how they made their lineups. The grant land piece is problematic for me because it completely ignores how films like Her, District 9, BOTSW wouldn't really be given the thought in the Best Picture category without this expansion. Precious really benefitted from the Academy announcing there would be 10 nominees JUST after it took Sundance by storm which got people talking. Thanks for the comment Terence. Interesting perspective on the uphill battle for Sundance films. Especially when you consider how beloved both 'Before Midnight' and 'Fruitvale Station' were, it's a shame that they really had no chance. Likewise with 'Short Term 12' which had a Sundance spirit to it too. There needs to be a petition for them to go back to 10!